When the Syrian civil war reached his hometown in 2013, Tadzhidin fled with his pregnant wife and their four young children. 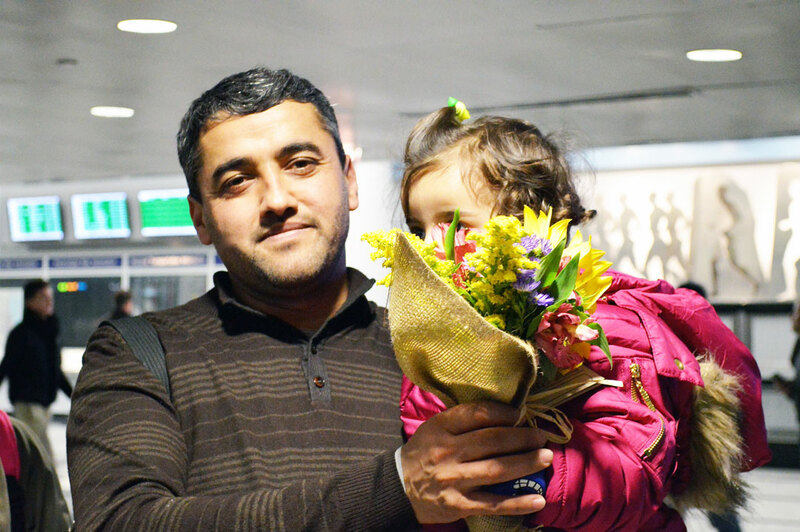 Tadz will share the story of their dangerous journey out of Syria, finding refuge in Turkey, and their joy at being selected for resettlement in Chicago. 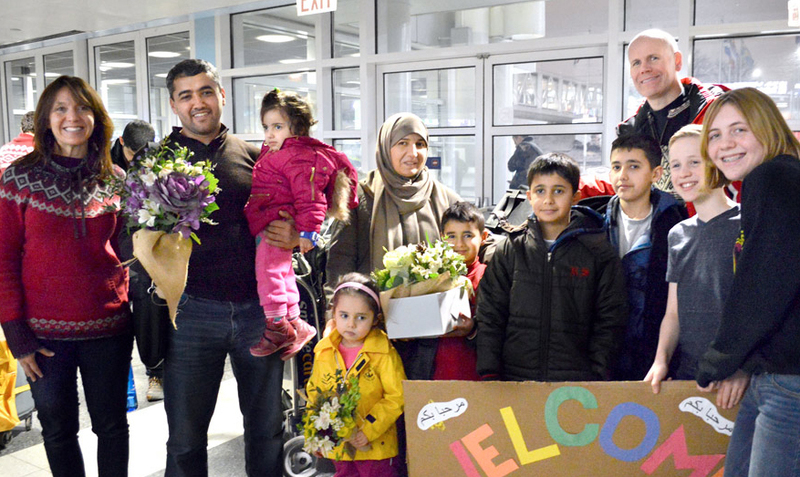 Learn how the worst refugee crisis in recent history has affected one refugee family – and how Chicago, RefugeeOne, and a caring co-sponsor family have helped them rebuild their lives and given them hope for the future. For more than 25 years, The Eli’s Cheesecake Company has partnered with RefugeeOne to hire refugees, finding them to be solid additions to their workforce. From bakers to packers, refugees form an important part of the expert team that produces the quality products for which Eli’s is famous. Finding employment is a major step for a refugee to become self-reliant. As head of the company, Marc Schulman has been a champion for the hiring of refugees. Charity is a huge part of Eli’s structure. Eli Schulman, the company’s founder, always said, “Charity will never bust you.” Eli passed this legacy onto his son Marc. Under Marc’s leadership, Eli’s still takes pride in its commitment of supporting the community by donating its products to community and to charitable organizations. This past Thanksgiving, RefugeeOne clients received pumpkin cheesecakes to celebrate one of their first American holidays. For several years, Eli’s has provided desserts for RefugeeOne’s annual gala, allowing the event to always end on a sweet note. RefugeeOne commends The Eli’s Cheesecake Company on making the world a little sweeter, not just through the amazing products it produces, but through its endless commitment to helping others. "I am against war and violence and for freedom and dignity for women and children. Art needs freedom." We are honored to showcase the art of Etab Hreib, a watercolorist from Syria. Hrieb became a symbol as a woman artist in the Arab world. She now lives in Chicago, where she continues to create new work. Works by Etab will be on display and in our gala auction. Weekdays on WBEZ Worldview, Jerome McDonnell provides global affairs coverage of world issues with in-depth conversations on international issues. Dance the night away to the music of Gentlemen of Leisure, Chicago's premier band. From Top 40 to the classics, from jazz to hip-hop, from polka to Motown, they do it all!